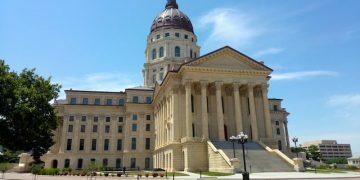 The comprehensive 70-page draft bill, a copy of which Sports Handle obtained, hasn’t been filed yet, but has been circulating the capitol building since late last week. It’s unclear whether the bill will be filed this year or if it’s simply another piece of the puzzle in a state that has been unable to come to a consensus on what sports betting should look like. Should the bill get filed, it would likely be sponsored by the Federal and State Affairs Committee and get assigned to the same. The committee is “exempt,” which means there is no filing deadline for committee bills, and this bill could be filed right up until the end of the current session on June 26. 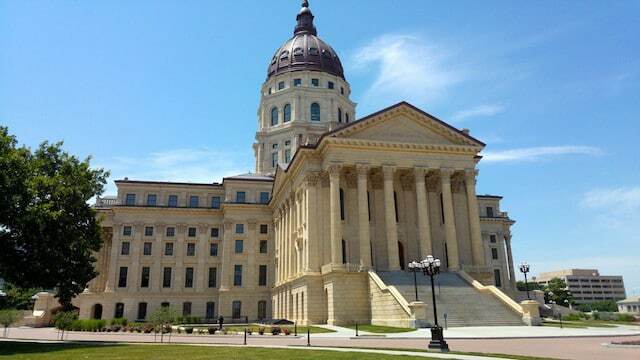 To date, five sports betting bills have been filed in Kansas, including HB 2390 and S 222, both which are sponsored by Federal and State Affairs. Those bills also call for the lottery to regulate sports betting, but do not require the purchase of league data and set the tax rate 6.75 percent of adjusted gross revenue. Among the other bills, HB 2032 would legalize sports betting at horse racetracks only, and SB 23 and HB 2068, also sponsored by Federal and State Affairs, call for a 0.25 percent integrity fee benefiting the professional sports leagues. The new draft bill appears to be a hybrid of the other Federal and State Affairs bills, but far more comprehensive and with some twists. The bill would allow sports betting through lottery retailers or “lottery gaming facilities,” and “racetrack gaming facilities” (a parimutuel licensee) that has contracted with the state lottery. Tribal casinos could also contract with the state to offer sports betting. According to the text of the bill, in addition to the lottery’s interactive platform, property managers could apply for an additional interactive platform, which means that the lottery would not necessarily have a monopoly on mobile/internet sports betting — as private companies, such as FanDuel, William Hill or even theScore — could partner with a property manager. However, as the bill reads, such commercial partners would not be able to offer “Tier 2 sports betting” — basically, in-play wagering per the definition– over the internet or through mobile platforms. That right would be reserved exclusively for the lottery, obviously limiting the potential success of commercial operators as well as disincentivizing such partnerships. As in other lottery states, this bill would call for the state to receive 50 percent of adjusted gross revenue from mobile sports betting, versus 30 percent of revenue from bets placed at brick-and-mortar locations. 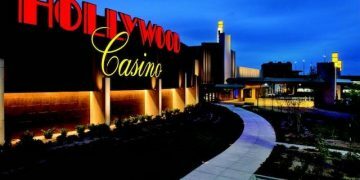 “We don’t believe the Kansas Lottery ought to operate a sports book,” Whitney Damron, who represents Hollywood Casino. Damron was vocal in his opposition to an integrity during testimony in Kansas in 2018. The tug of war goes on and on. Where the money goes: Revenue would be deposited into the “State Treasury Sports Wagering Receipt Fund,” with $750,000 annually earmarked for white-collar crime investigation and prosecution and 2 percent earmarked for problem gambling services.